According the EEOC Kaplan Higher Education Corporation has been discriminating nationwide against black job applicants because of their credit history. As a result the U.S. Equal Employment Opportunity Commission (EEOC) has filed a law suit against the provider of post-secondary education. According to the EEOC this rejection of black applicants has been taking place since 2008. The EEOC claims this practice is unlawful and is discriminatory because there is no justification of this of this process based on Kaplan’s business necessity. Most companies that look at your credit report during the hiring process usually do so for positions that handle money or have access to personal information. Keep in mind that during the employment screening process they do not look at your credit scores. Now your credit scores and credit report information do go hand in hand. So the company looking your credit report will ultimately have an idea your scores are poor if you have a history of credit issues. So the FACT that employers don’t look at your credit scores in my opinion does not really matter. 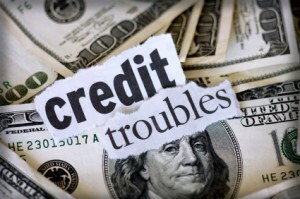 Bad credit is bad credit….. This practice of hiring based on credit history is somewhat controversial. Being a business owner I have the tendency to agree with the employment screening process. The question always arises…. “How can you be responsible in the work force if you have a history of being irresponsible with your personal credit history?” So bottom line is your personal matters will affect your worth ethic. How can you come to work with a clear mind if your financial matters are in distress I guess is the point here. According to the Federal Reserve black Americans have worse credit than white Americans. I am not sure why this is the case, but evidently it’s a problem amongst the black community. The Fact of the matter is whether you are black or white your credit report is being looked at during the employment screening process. With the case of Kaplan the EEOC needs to prove that they have been discriminating against blacks and have singled them out during their hiring process. Regardless of this controversial hiring process your credit report is no secret anymore. Somone will require you to provide your history of responsibility whether you are Hispanic, African American, Chinese or White American. Bottom line, if you are staying on top of your credit report the issue of credit will never be a problem during the hiring process. Like I have been promoting all along, credit education is crucial during such bad economic times. You have a right to your free credit report once a year from all 3 national credit bureaus. 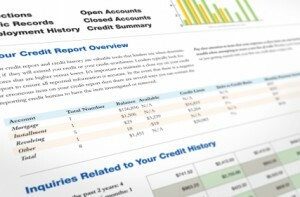 Go to www.annualcreditreport.com to get your copy. Financial Matters that won’t kill your credit! John Ulzheimer took the words right out my mouth today. Here is some great key points on what will not affect your score per John. There are many credit score myths being told by professionals that should know better. During my mortgage career I have heard all kinds of myths and some flat out lies. Regardless of the intention of a lender, I am going to discuss the facts about what will really affect the credit scoring process. Now don’t get me wrong there are some really good lenders out here, but some are not be forthcoming either. Pulling your FICO score will lower it. One of the biggest myths is getting your credit report pulled by multiple mortgage lenders will lower your score. This has to be one of the biggest sales tactics in the entire mortgage industry. Lenders are telling you this so you don’t shop around. They are trying to win your business, but really are not telling you the truth. Fair Isaac aka FICO allows you to get your credit report pulled multiple times during a 45 day window while mortgage shopping and all activity will only be one inquiry. It makes no sense for FICO to penalize you for shopping around for the best terms and rates on a mortgage. So the next time a lender tells you that if you pull your credit report with another lender it will affect your score, he /she is not being honest with you, or they don’t know the facts. Keep in mind that a hard credit inquiry could lower your score around 5 points or so. Just remember in order to get a loan your credit has to be pulled. I wrote an article a while back on what type of inquiries affect your credit score. Go here to read. If someone tells you to close your credit card account, that is bad advice and could cause a denial on a loan. I have never heard of an underwriter asking a potential borrower to close an account to get qualified for a loan. This just sounds plain silly. If you have a credit card with a credit limit of 10,000 and you use it occasionally, it’s ok. That is good credit that you have established. So if a professional ask you to close a credit card, I would find another professional to help you. In my professional opinion a short sale is being marketed incorrectly by most real estate professionals. We have realtors all over the country pushing short sales and telling the seller a short sale is better than a foreclosure. This simply is not true. According to Fair Isaac the maker of the FICO Score, there is not much difference between a foreclosure and a short sale. They both have a negative impact on your credit rating. When you decide to attempt a short sale the bank will require you to stop all mortgage payments. This is part of the short sale approval process. Once you stop making payments on your mortgage note the damage has started. You will begin to get slow pays on your credit report. In a real estate market like we are currently in, it takes time to sell your home. In most cases it will take at least 6 months to sell your home and in many cases longer. Once you get a 120 day late payment for mortgage history, this is considered a foreclosure in the eyes of most banks. Don’t get mislead by Realtors trying to make commission. A short sale will affect your credit rating just like a foreclosure. The first step is to formulate a budget. You must know where all of your money is going. Here is a “How to Budget with Excel” link. Remember not to cut out all your fun. A budget with no fun is destined to fail. Just cut out the unnecessary spending as much as possible. Discover where you can save. Keep all your receipts on everything you spend. Once you have your budget done, make sure you give yourself cash to spend on non-essentials. That way you can get a better idea on how much money you are spending in a month. It’s much easier to see your spending habits when you have tangible money in your hand or in a envelope at home. So if you budget an extra $50.00 bucks a week on non-essentials, then give yourself $200 bucks cash and keep it in a envelope. Once your $200 bucks is gone, guess what? Your fun is done for the month. I will be the first to admit that saving money is tough. Let’s face the facts. Spending money is much more fun that saving it. But if you don’t save you will find yourself in trouble when problems arise. Like job loss, unplanned expenses, etc…….. So put your savings on auto pilot once you have arrived at a budget. Most Certified Planners recommend saving 10% of each paycheck. Automatically have 10% of your paycheck deducted from your checking account and forget about that money. You will need at least 6 months worth of income in your savings account. If your net income monthly is $3000, then you will need to save $18,000 in your savings account. I recommend putting those savings in an account that produces interest. Check out www.bankoholic.com for savings account rates. You need the same persistence with savings as you had when courting a girlfriend or boyfriend. Persistence always pays off. Keep your nose to the grind stone until the goal is reached. It’s ok to indulge occasionally, but remember to stay on course. Every time you go over budget you are defeating the purpose of protecting your credit. The key to a good credit report and credit scores is having savings. This is the most essential tool for sound money management. Most families live beyond their means and don’t save enough. Stop trying to keep up with the Jones, it’s not worth it. You really don’t need a Mercedes Benz, or a BMW. Most credit issues could have been avoided if the above mentioned was put into practice. Does a Divorce Decree Protect your Credit Scores? A divorce decree does not divorce you from your current debts. Attorneys will tell you that you are not responsible for a particular debt per a divorce decree, but what they fail to mention is that you legally are if the debt is in your name. A creditor could care less about what your divorce decree says. After all you signed the papers with that creditor before the divorce. A credit card that is a joint account means that you and your ex-spouse are both responsible for that account until it’s paid in full. You are also responsible for any fees the credit card company charges. Let’s assume you go along with the decree and forget about a credit card that your decree states your ex-spouse is obligated to pay. Your ex-spouse decides not to pay this creditor for some reason. Guess what will happen? There are two serious situations about to take place. The first really bad situation is your credit scores just got destroyed. Secondly you will be getting calls from either the creditor or a collection company down the road. There is a proper way to draw up a divorce decree. The best way to go about this process is to make sure joint debts are dissolved, sold and closed. This will assure that your credit score will be protected from what an ex spouse does with joint debts. • Sell your house- if you have a house you bought together sell it. Make sure you sell it before the divorce is final. • If you have joint credit cards, pay them off and close them before divorce is final. Remember that a divorce decree will not erase the debt you have acquired while married. What your spouse does with joint accounts after marriage will affect your credit score down the road. This is especially true when they don’t pay a debt on-time or charge up a debt like a joint credit card. This issue of divorce and joint debt is ramped. 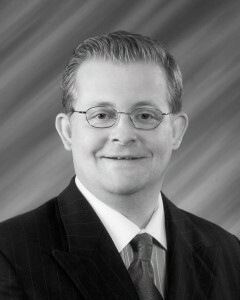 It’s a major problem because attorneys don’t explain the long term affects of joint accounts after a divorce is final. If you have found yourself in this most unfortunate situation, make sure you get all joint debts that you are not responsible for out of your name. A divorce decree does not protect your credit score. You may think your life is private, but when it comes to your financial life, it isn’t. Details of both your present and your past are stored in databanks at the three major credit reporting bureaus: Equifax, Experian, and TransUnion. All this data is kept and used to compile your credit report – and from that report, the bureaus compile your credit score. Although there are dozens of different credit scores for different purposes, the one that affects you most often is the FICO score. This is a score based on a formula developed by the Fair Isaac Company, and its function is to predict the likelihood that you’ll pay your bills on time- or not. Your FICO score can be accessed almost instantly – which is why you can apply for credit in a retail store and be accepted or rejected within minutes. The FICO score compiles the known information about your financial habits and turns it into a 3 digit number between 300 and 850. The higher your score, the better your chances of getting the credit you want – and getting it at the lowest interest rates available. Credit reports and credit scores have evolved over the years. 40 or so years ago credit bureaus were small, local companies. They gathered information from your local creditors – and they also gathered information from local newspapers and “gossip lines.” Back then, you’d better not get a DUI or let the newspaper take your picture when you’re misbehaving, because it would go in your credit file! At that time, consumers could go to the credit bureau and pay a few dollars for a look at their own credit reports. Then data collection became centralized and the small credit bureaus shut down. And policies changed a bit. When credit scoring became popular, the scores were hidden from consumers. Only the person or company that considered giving you credit could know your scores! In 2001 that changed due to pressure from consumer groups and the U.S. Congress, so now every consumer has access to his or her FICO credit score directly from the credit monitoring agencies – for a fee, of course. And, as a result of new laws, each bureau must supply consumers with a copy of his or her credit report, without scores, once per year for free. Why should you care about your credit scores? Several reasons – the most obvious of which is that your credit scores directly affect your ability to get credit when you need it. Then, they directly affect the interest rate you’ll pay for that credit. Low scores indicate to creditors that you’re a poor risk, so they will either deny you credit or make you pay dearly for it. Credit scoring has contributed to the end of “personal” banking, in which your local banker granted credit based on your reputation in the community and the banker’s personal knowledge of you. Now, except in a few cases, the decision has been taken out of his or her hands and depends to a great extent on your credit scores. However, when it comes to borrowing money, credit scores are not the only consideration. Other factors, such as job stability, income, the size of your bank account, the size of your down payment, and the reason why you are seeking credit are also considered. So, even with a high credit score, it is possible to be turned down for a loan. There’s a huge difference between the interest rate you’ll pay with high credit scores and low credit scores. For a mortgage loan, there could be a difference of as much as 3 percentage points – which translates to about $200 per month on every $100,000 you borrow. In car loans, the difference in interest rates is even more dramatic. For instance, if your credit score is under 600, you will pay in the range of 18 ½ %, while a credit score of 720 or above would allow you to buy the same car with an interest rate of about 6 2/3%. In other words, you’ll pay almost three times as much interest if your scores are low. The payment on a 4-year, $20,000 car loan goes up about $10 per percentage point, so with good credit you’d pay about $475 per month, while bad credit would get you a payment of nearly $600. Why do lenders look at all three credit scores? When you access your credit report and credit scores, you’ll probably find that while the numbers are similar, each credit bureau will report a different 3-digit score. This is because some creditors report to one bureau and not the others. Thus, the information they use to determine your score is different from one bureau to the next. This is why most mortgage companies use your middle score in making their determination. It’s interesting to note that when credit decisions are automated, just a point or two can make a difference in the interest you’ll pay. Banks have their “cutoff points” that determine the interest rate they’ll offer you. Even with good credit, you may pay 1/8% less if your average score is, for instance, 720 rather than 719. Thus, it pays to keep your credit scores as high as possible. Credit scores affect even more aspects of your life. Do you want to carry a cell phone or watch satellite or cable TV? Your credit scores will determine whether you are allowed to do so. When those companies give you a “free” cell phone or install “free” equipment to access television programs, they want assurance that you’ll continue to pay throughout your one or two year contract with them. They’ll use your credit scores to determine that risk. If you want to rent a house or an apartment that’s handled by a management company, you’ll probably have to give them permission to access your credit scores. They’ll decide whether or not they want to rent or lease to you based on your credit scores. Poor credit might mean you’ll leave in the middle of the night – owing back rent. When you apply for a job, many employers will require that you grant them permission to see your credit report and credit scores. They’ll judge your reliability and trustworthiness based on the scores. In some sensitive jobs, low scores automatically mean you won’t be hired – or you will be fired! How are credit scores compiled? As we mentioned, there are dozens of different kinds of credit scores, each with a different purpose. Each has its own formula, and that formula is a trade secret. But the credit bureaus have let us in on the general break-down of information that is used to determine a FICO score. The most weight, 35%, is given to your past payment history. Lenders want to know if you pay your bills on time, and if you’ve had collections, bankruptcies, or foreclosures. If you do have negative items on your credit report, the most recent incidents do the most damage to your credit scores. After 7 years, most negative information rotates off your report. Bankruptcies and foreclosures remain for 10 years. Next, they want to see how much you already owe, so 30% of your score is based on how much credit you have available and how much of it you are using. If you have a pocket full of credit cards and most of them are at their limits, your scores will go down. If you keep that same pocket full of cards below 25% usage, your scores will go up. Creditors like to know that you have a long history of being responsible with money, so the next 15% of your score is based on the length of time you’ve had credit. This is why we tell consumers not to cancel old credit cards, but to use them from time to time. If you’re running around trying to get credit in numerous places, creditors see that as a bad sign, so 10% of your score is based on new credit and new credit inquiries. If you want to keep your scores high, don’t apply for several new credit cards within a short period of time, and don’t let a car dealer or mortgage lender access your credit report until you’ve made the decision to buy. Several inquiries from car dealers or lenders within just a few weeks will count as one inquiry, so it is safe to shop once you’re ready to buy. Lenders also want to see that you can handle multiple credit accounts, and different kinds of credit. So the final 10% of your score is based on the types of credit you have. It’s best if your credit report shows experience with both installment loans and revolving credit accounts. As you can see, keeping your scores as high as possible is in your best interests, and most of the factors that affect your credit scores are in your control. The one thing you can’t do immediately is create a long history of credit use, but you can continue to build a good history that will serve you well in the future. You can and should access your own credit report often to make sure there are no mistakes that could adversely affect your credit scores. While you can get a free credit from each of the credit bureaus each year, we believe you should be checking at least quarterly, and that credit monitoring is a good safety precaution. Industry experts admit that up to 70% of all credit reports do have errors, so read your report carefully. Some errors, such as a misspelling, won’t harm you. But if you have old negatives that haven’t been removed, or if a data entry person has accidentally entered someone else’s negative information under your Social Security number, you need to correct the error. In addition, it’s important to watch for the red flags that signal identity theft. If your credit report shows that “you” have a new address or a new employer, or have applied for credit you know nothing about, look into it right away! Catching identity theft earlier can make repairing it far easier. Employment Credit Checks- Who’s Looking? Maybe you are out of work like many other Americans. Reports claim that un-employment is up, and then they claim it’s down. Regardless of this debacle of current employment information, one thing is for sure. There are lots of people across the country out of work. This means when you are looking for a job it’s more competitive. With a credit report coming into play during the hiring process it’s imperative that your report does not show patterns of irresponsibility. According to the Society of Human Resource Management nearly 60 percent of employers check your credit now. Typically a credit check is done by employers hiring people that handle money. In some cases employers will check your credit to profile you. This means they are looking at your history and whether this history show’s poor character that would affect work ethic. Your credit report also shows your work history. There is evidence that 40 – 50% of applicants lie on their resume whether they be white lies or whoppers. So you can see why employers need verification of everything, hence a credit report provides some of this leg work. So in a nutshell it’s really not worth allowing your credit to go down the toilet. With your credit being a ticket to most things these days, such as employment, better rates & terms on loans, insurance, and bottom line savings it’s apparent to be aware of what is on your report. You never know when your current employer may give you the pink slip….. When this happens at least you know where you stand with your credit. If your credit is in the toilet like mentioned you will be better prepared to fix any issues on your report. I can understand why employers look at your credit. Its makes sense to me. Imagine that you are looking at two applicants, both with the same backgrounds. After reviewing both applicant profiles, you discover that one particular applicant has a history of credit issues. Who would you hire? So its no secret that your credit is a factor these days with just about everything you do. If you have not checked your credit lately under the (FCRA) Fair Credit Reporting ACT you get access to your free credit report from Experian, Equifax and TransUnion once a year. Be prepared you never know what’s around the corner.